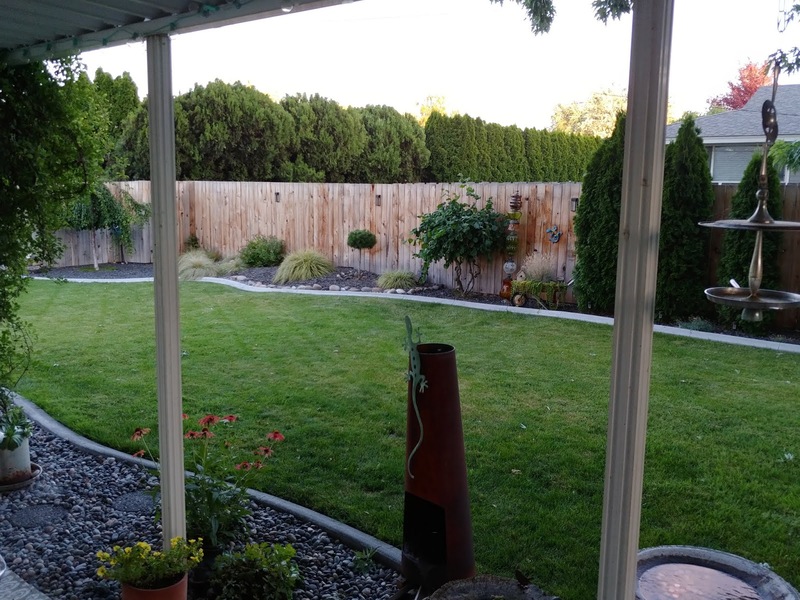 One of my favorite things about being a homeowner is having a beautiful yard. Now don't get me wrong... actual yard WORK is not my favorite thing... you know mowing, edging, weeding... nope, I kind of despise those things but they ARE necessary evils to having a beautiful yard! 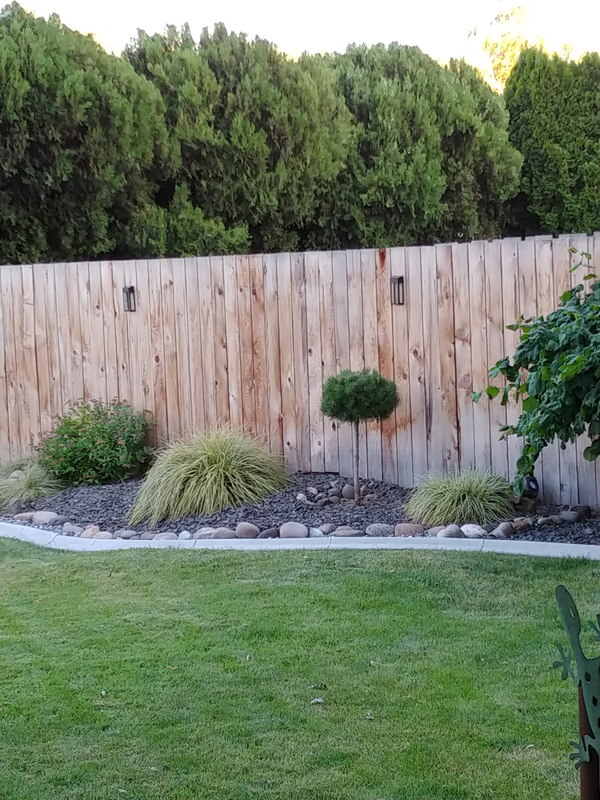 But I do love designing my yard, planting shrubs and flowers and landscaping projects that make such a big impact! I've spent a couple of years working on my backyard to create a restful, private, beautiful retreat for myself and my little dog too! Most recently I decided to add some solar lighting for nighttime ambiance! 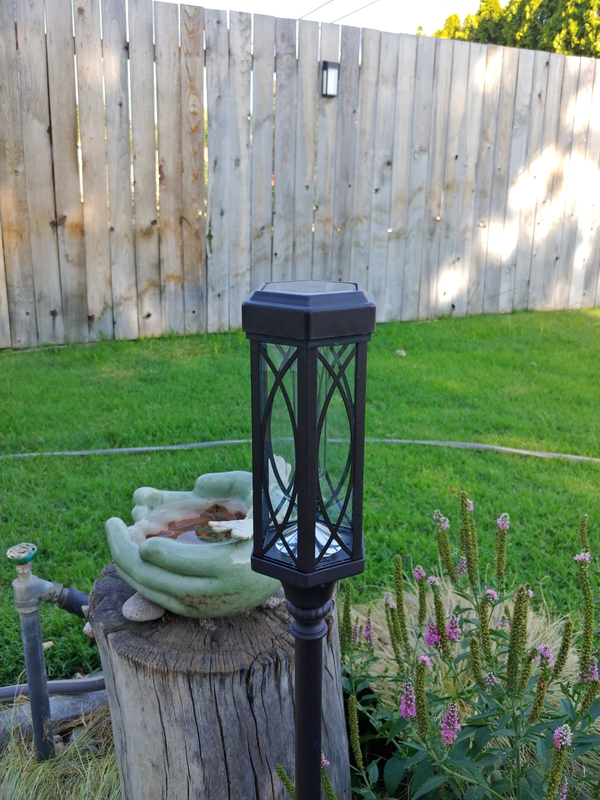 Solar lights are really pretty inexpensive when you consider how much curbing, fencing, landscape rocks, and plants can cost! 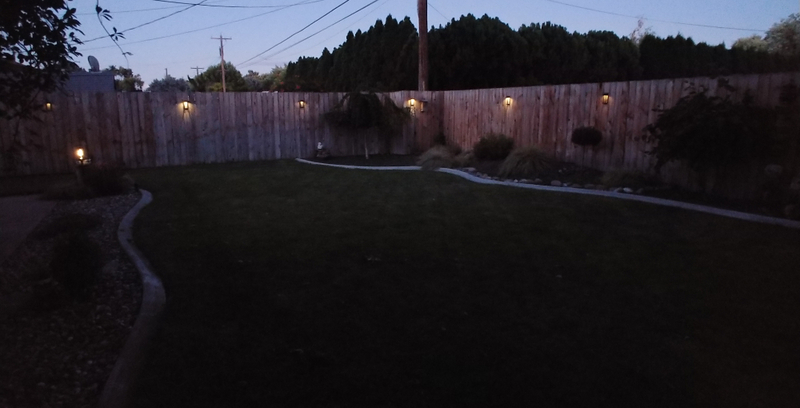 I wanted to light up the dark recesses of my backyard so I chose several different kinds of solar lights. 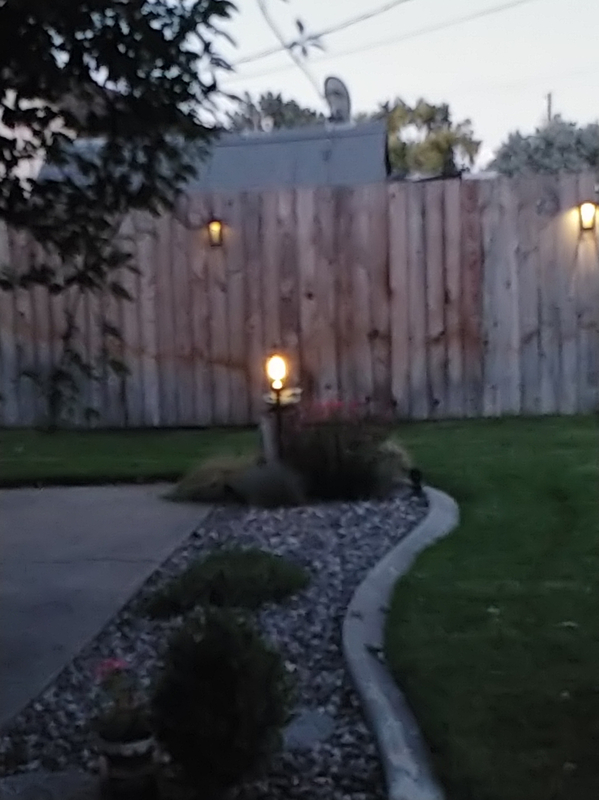 I bought two packs of fence solar lights for a total of 8 lights to hang on my fence. My boyfriend and I hung them up one evening after work. They had two keyhole hangers on the back of each light so we used a small level and marked where the keyhole hangers were on the level so we got them spaced correctly each time! 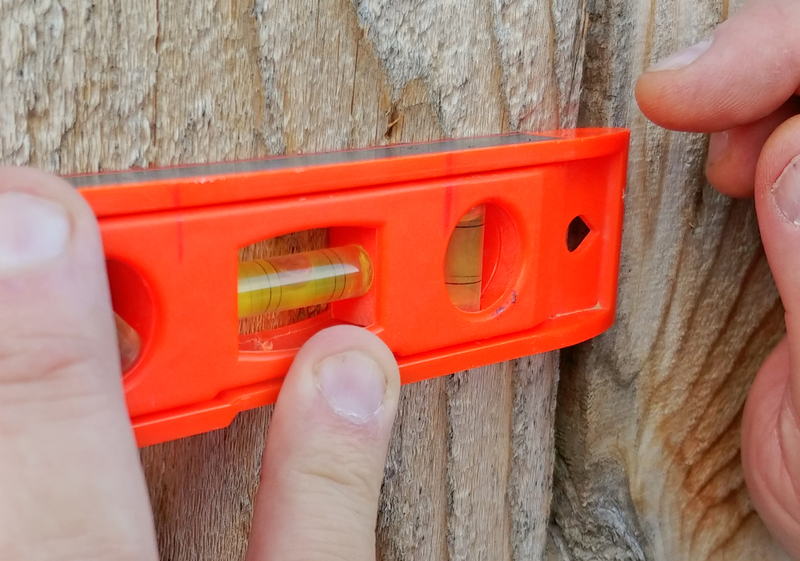 You can see the two marks on the level. I also chose two packages of torch pathway lights for a total of 4 lights. 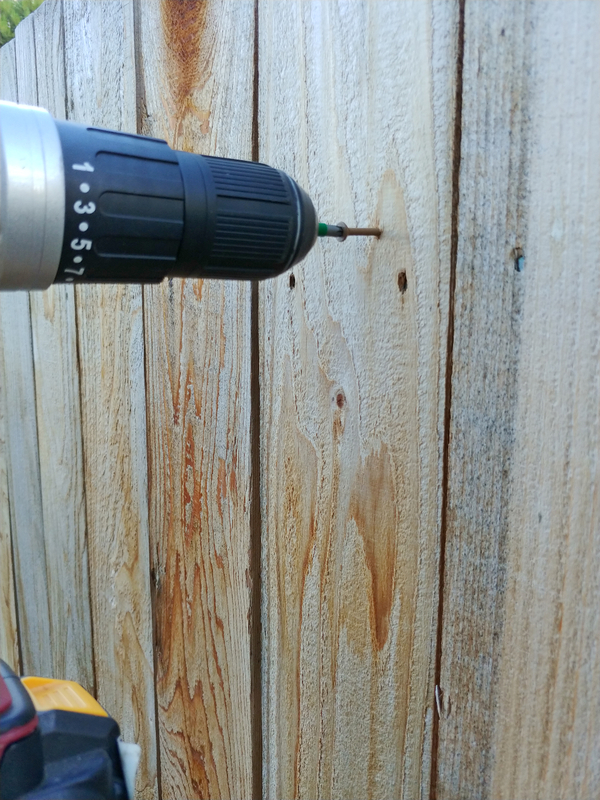 I used these along the length of my patio. They are adjustable too so you can have them short or tall! I chose to use them at the shorter length. 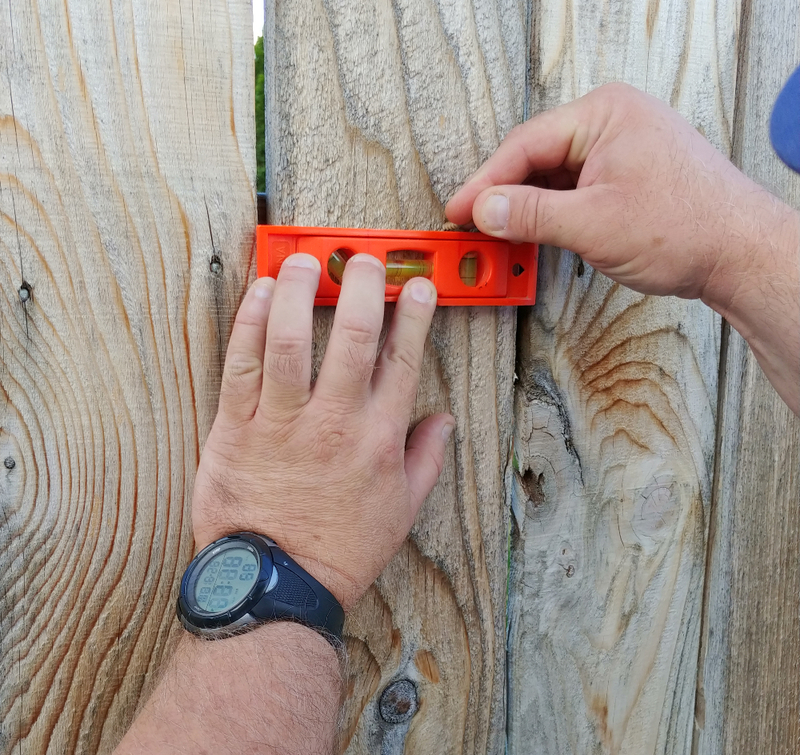 You may also want to highlight a special accent in your yard. 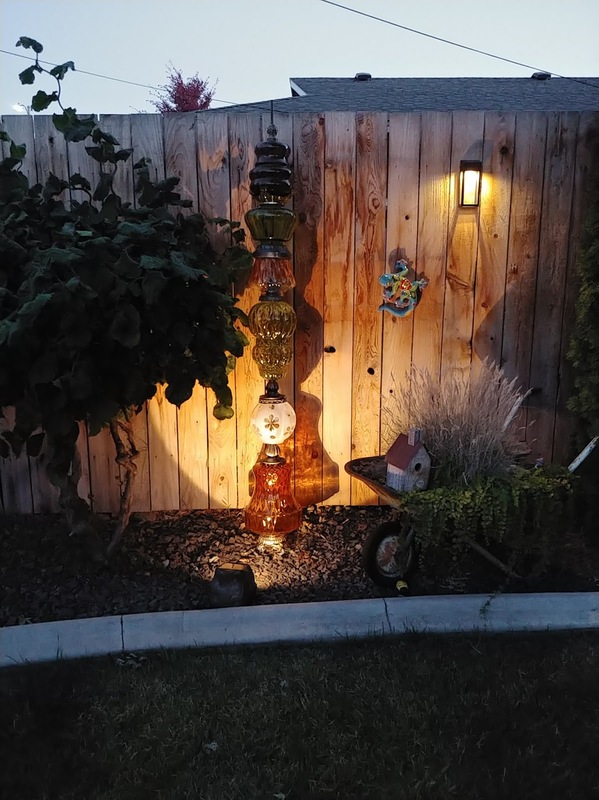 I used rock spotlights to highlight my Upcycled Lamp Garden Totem. 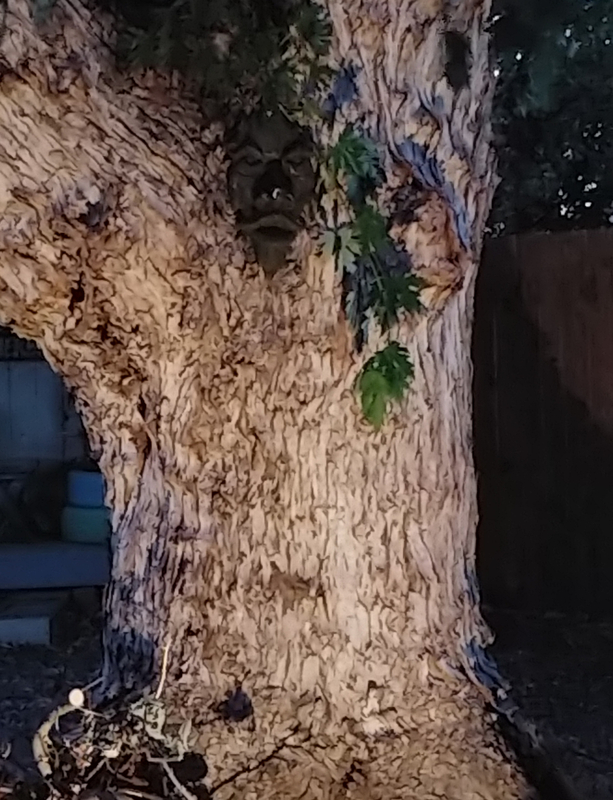 And my tree sculpture! Can you see him? He is the Spirit of Nottingham Woods Greenman Tree Sculpture. It's hard to get good pictures at night but it looks really pretty when it's all lit up! There are so many different solar lighting options, many more than just the standard little lights that you poke in the ground! Here are a few of my favorites! 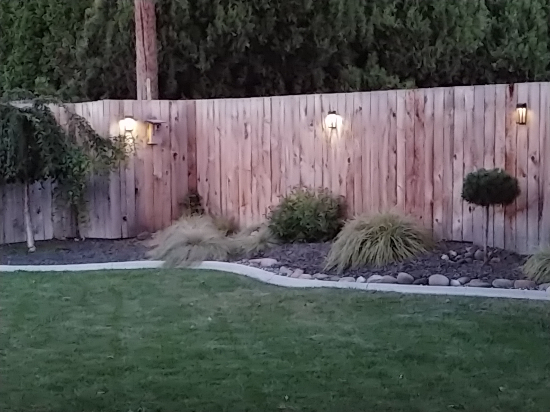 Do you have any solar lights in your yard?